Type: SOFTWARE. Detail: Chessbase. Product Code: CBFT-SIDVD. Chess Duels with the Champions. 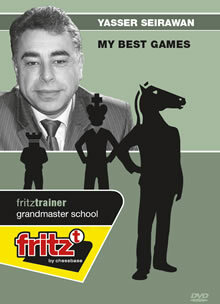 Seirawan, . $43.95. Big Database 2013. CB CHESSBA. $49.95. Nigel Short's Games Vol 1 & 2. Short, N. $95.00.